SEOUL -- In preparation for rejuvenated economic exchanges with North Korea, South Korea hopes to restore and modernize railways that will run across the heavily armed border, a senior official said Tuesday in Seoul ahead of inter-Korean railway talks. 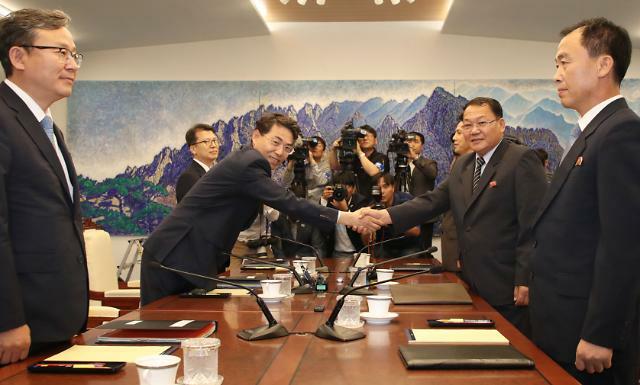 But Vice Transport Minister Kim Jeong-ryeol cautioned that full cooperation between South and North Korean railway authorities would depend on progress in negotiations between Pyongyang and Washington on denuclearization. "There are limits due to sanctions, but there are a lot of things that can be done once sanctions are lifted," Kim told reporters before attending talks in the truce village of Panmunjom. 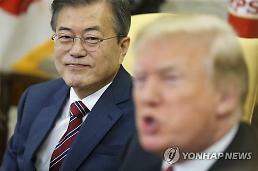 Kim said the meeting in Panmunjom would focus on restoring severed cross-border railway lines and modernizing North Korea's outworn railway system. At an inter-Korean summit in April, the two Koreas agreed to connect and modernize cross-border railways and roads. Railways have been the backbone of North Korea’s transportation system as many rural roads were in bad shape, but they are now in a "sorry" state, Andrei Lankov, a North Korea expert and professor at Kookmin University in Seoul, said in an article carried by NK News, which provides news and analysis about North Korea. 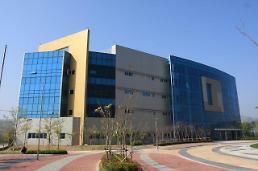 "There is a consensus that North Korean railways are in a sorry state. The rolling stock largely relies on the technology dated from the 1960s, or even 1950s, while the tracks are in a truly bad shape: sometimes with rails from the colonial era," the expert said. About 80 percent of North Korean railway tracks was electrified, but steam engine locomotives are still used in auxiliary roles, even though they are notoriously inefficient, he said, adding 97 percent of the North's railway network consists of single-track lines. He estimated that upgrading the North's entire railway network would cost some $25 billion. 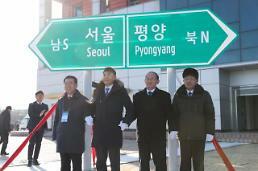 Reopening a cross-border route for traffic of men, vehicles and trains has been a favorite topic at previous inter-Korean talks, but Lankov said, "even a well-supported project with a long history can die overnight or be used as a hostage by one of many interested parties."